Build of this CCX started in the last quarter of 2006 and was completed in March 2007. 037 was shipped to Korea and spotted with a dealer / test license plate late March 2007. Regularly spotted also in the months after but 037 was last seen in June 2007. And then again in September 2008, still with the dealer / test plate so this CCX was probably never sold to a customer when in Korea. Next stop: Dubai, where 037 first showed up at the dealership of 111 Car Trading, February 2009. After that, it was offered for sale at Exotic Cars in August of the same year with an odometer reading of 4,000 Km, but was also still listed at 111 Car Trading. In May 2010, 037 was offered for sale at Top Line Motors, Dubai. No miles were added as it was still listed as having 4,000 Km. Regardless of the effort of these three dealerships, 037 was not sold. 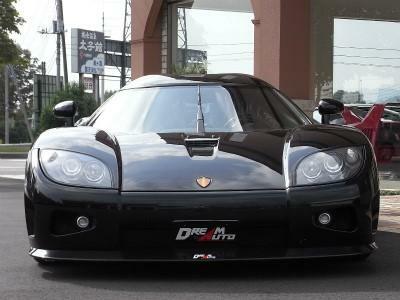 But that was to change after this CCX went to Japan. Offered for sale at Dream Auto in the second half of 2010, still with 4,000 Km, but listed as being sold at their website in December 2011. 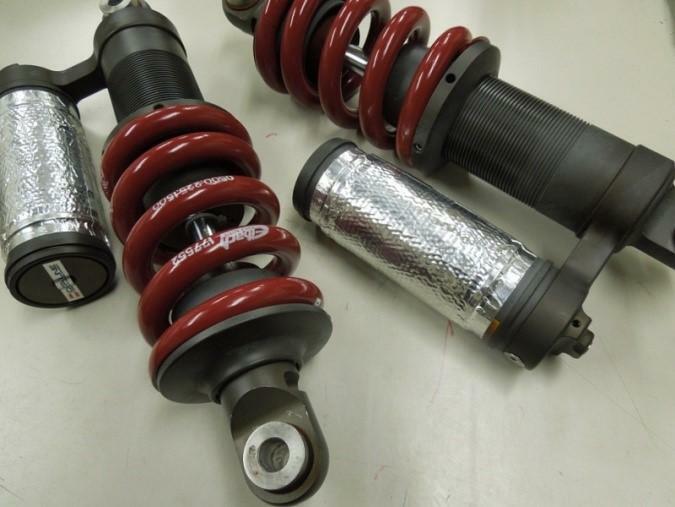 037 was registered in that same month at the issuing office of Sano, Tochigi. 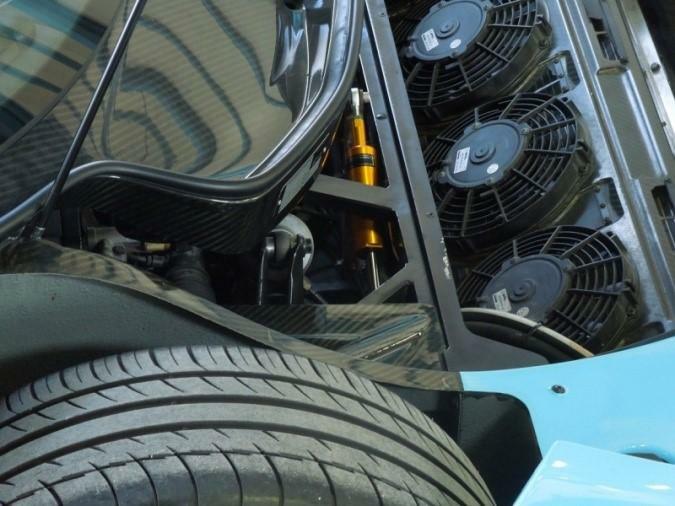 It was regularly displayed at car shows and supercar events. In the first half of 2012 it got a new license plate, which may indicate that 037 received a new owner. 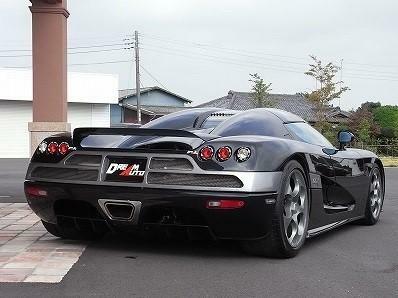 This CCX attended meetings organized by a supercar club called the Kanto Saisoku A-Team, of which 037 apparently became a member, as the A-Team stickers that were added suggest. Two red outlined silver stripes were added to the front bonnet and the rear wing sometime between June and November of 2012. And last, but definitely not least, 037 got a light blue wrap between May and July of 2013. 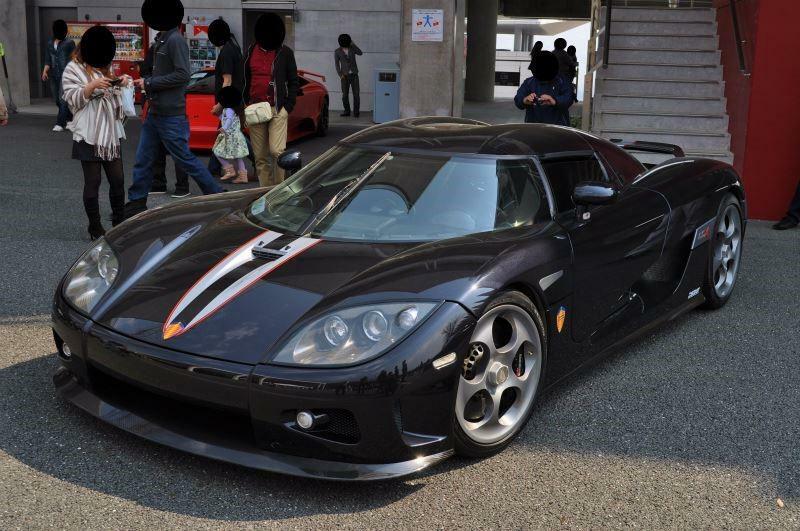 This CCX continued to be displayed at several shows, events and meetings on a regular basis and was last seen in December of 2014, still in Japan. 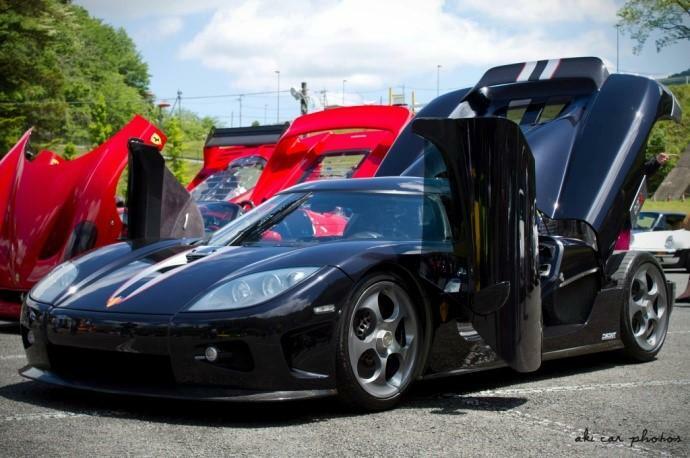 This CCX has black as an exterior color, which at the time was a popular color as 033, 034 and 038 were also black. 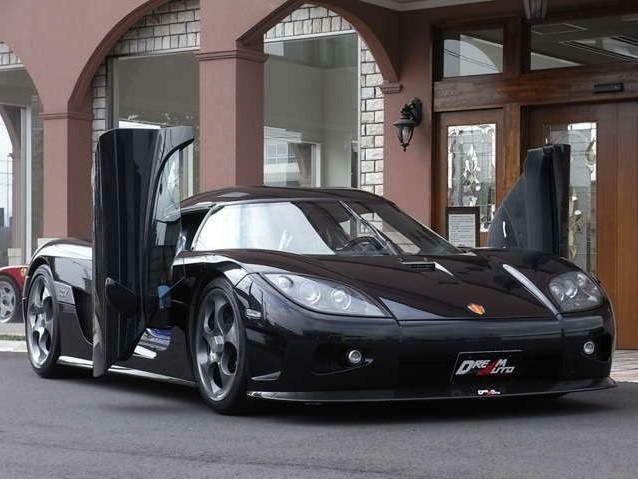 This often makes it hard to distinguish it from the other black ones, in particular 034, which was exactly the same exterior wise when it left the factory, as this CCX at this point. The front splitter and side sills are finished in clear coated carbon, just like the Top Gear style rear wing. 037 was fitted with the 5-hole dial wheels, as well as the silver CCX script at the badges on the sides. 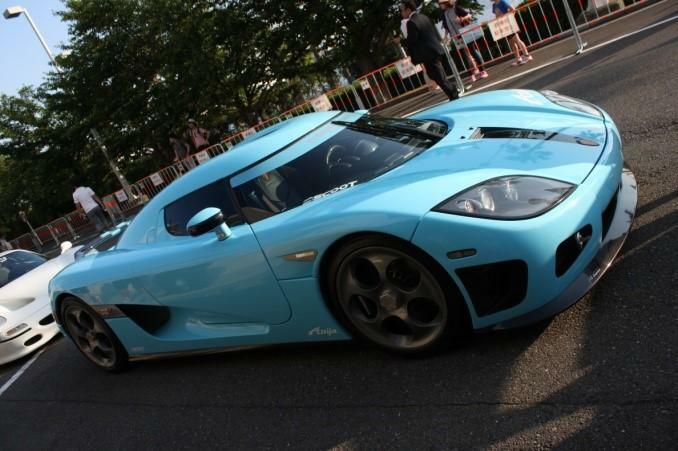 But all of this was to change as this CCX underwent quite a few changes. It started kind of subtle sometime between June and November of 2012 with the addition of a couple of silver stripes to the front bonnet and the rear wing. These stripes were outlined in red to match the added red X on the CCX badges on the sides. 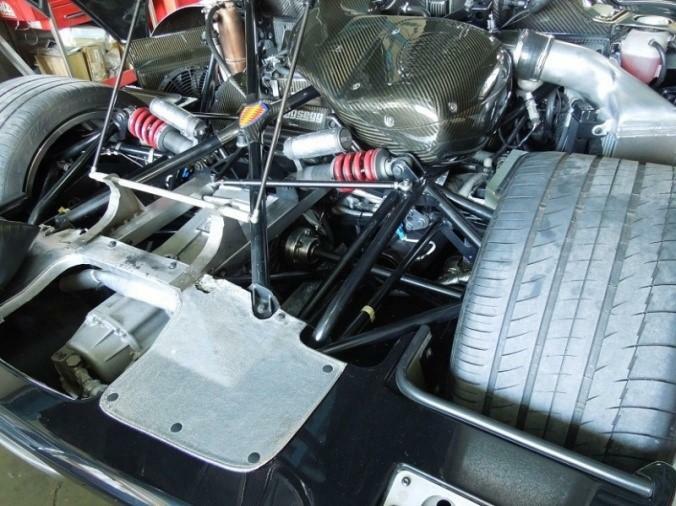 At the same time, Koenigsegg crests were added to the sides of the car, just behind the front wheel arches. To top things off, white "Scoot" decals were added in front of the rear wheel arches, just above the side sills. 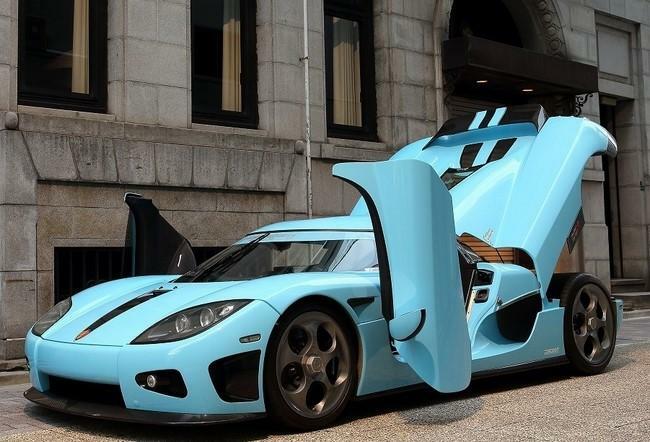 The subtle changes did not last very long, as modifications progressed more aggressively in 2013 by adding a light blue wrap, that may appear turquoise in certain lighting. 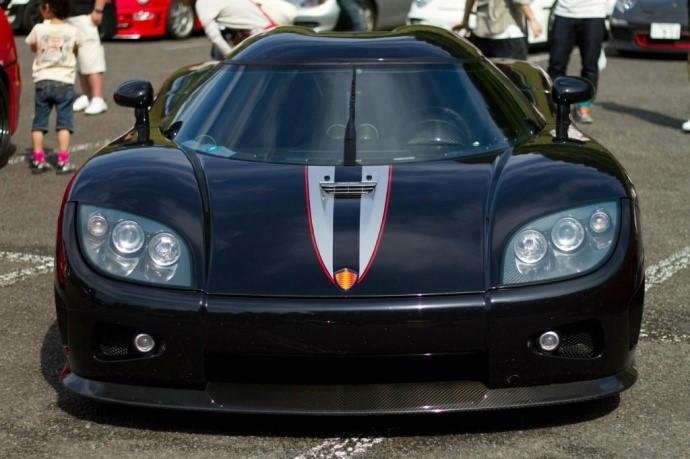 The stripes at the front bonnet were replaced with a single black band, running from the Koenigsegg crest to the air intake. This black band is edged with a thin grey line, running all the way to the windscreen. The stripes on the rear wing were replaced with grey outlined blue ones and the mirrors received a black band. An A-Team decal was applied to the splitter, on the passenger side, as was a white "Anija" decal to the position just above the driver side headlight. Smaller "Anija" decals were added on both sides behind the front wheel arches just above the sills. 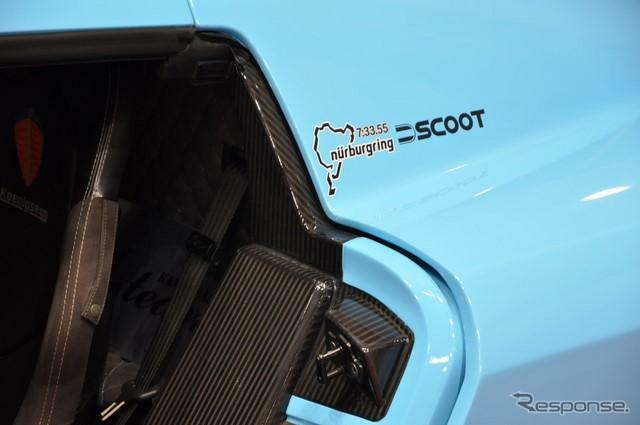 The Koenigsegg crests at the sides were removed but the Scoot decals were retained. A light blue banner on the windscreen was added as a finishing touch. The overall appearance does have similarities with 7073 - CCXR "Special One", but 037 and 073 are easily identified by the rims and the rear wing, which are different on both cars. 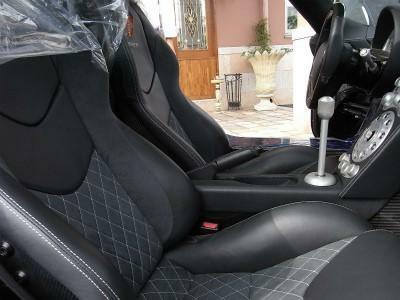 The dominant interior color of 037 is black but grey alcantara accents were used on the seats, the rear bulkhead and the ceiling. Stitches in silver to contrast with the black leather. 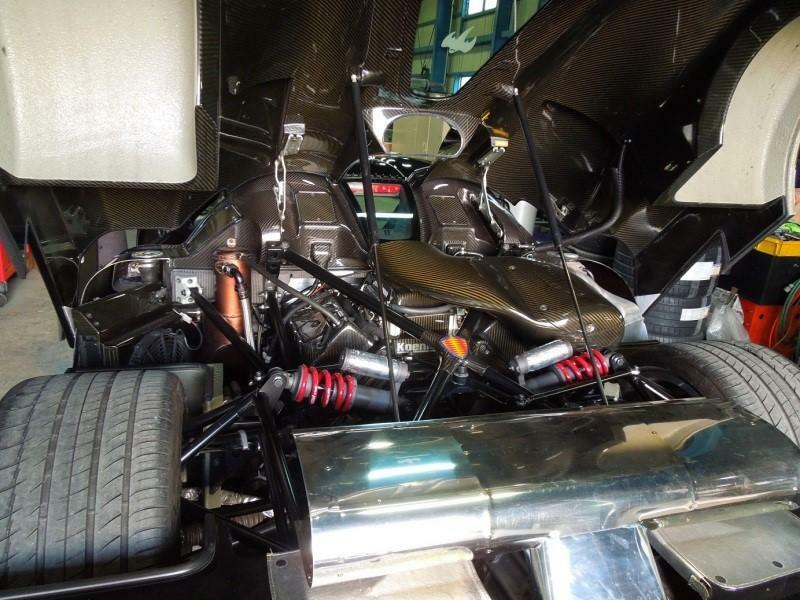 The top of the dash is bare carbon and not furbished with alcantara as seen on most Koenigseggs. The only way to separate this CCX in its original configuration from 034 is the absence of the Sparco script on the seats of 037. The interior was slightly altered over the years but not as extensively as the exterior. A different radio has been fitted as well as a rear view camera with a display mounted at the passenger side foot well. A digital clock with temperature feature was added to the driver side door frame. Some decals appeared behind the windscreen; a small "A-Team" one in front of the VIN plate and a larger one with "Scoot" on it at the passenger side. 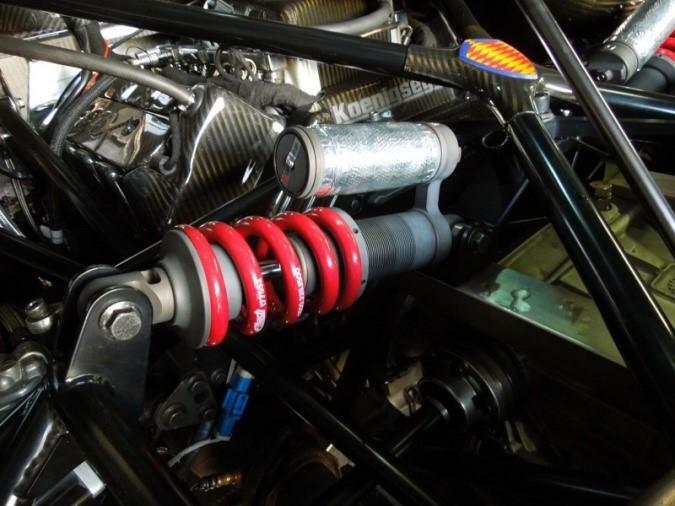 This CCX was equipped with the standard aluminum 4.7 liter V8 CCX engine, which delivers 806 Hp at 7,000 rpm and has a maximum torque of 920 Nm (693 ft/lb) at 5,500 rpm. 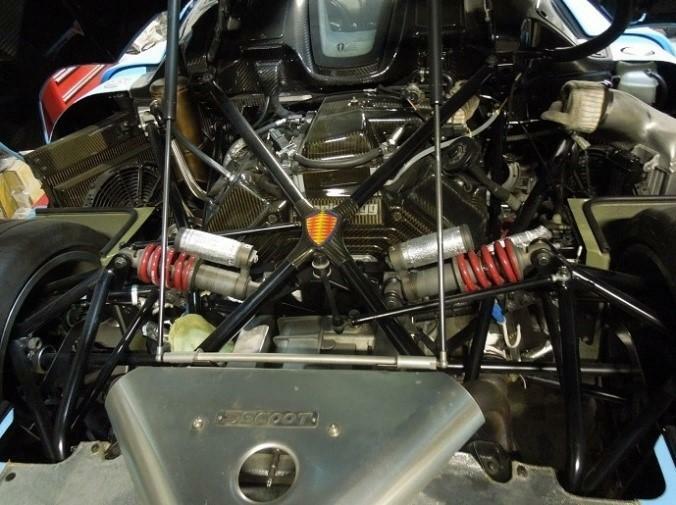 037 was fitted with a 6-Speed manual gearbox. 037 originally was fitted with the standard muffler but this was removed and replaced by exhaust tubes that were custom made to fit by a Japanese company called "Scoot". This work was done at the end of February 2013. 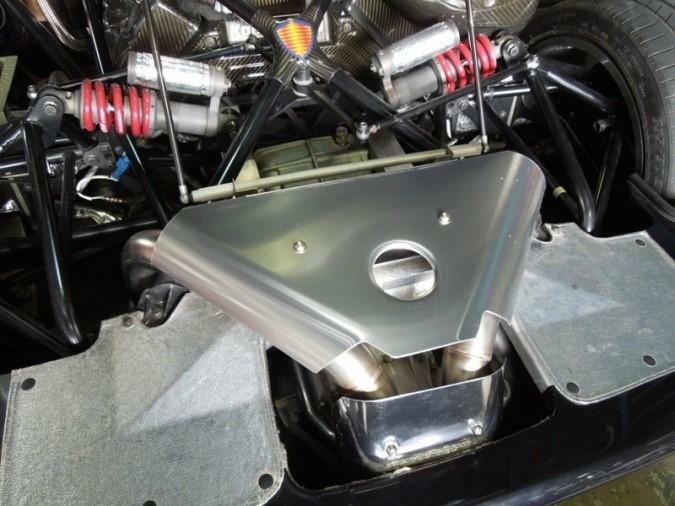 In the beginning of March 2013, a plate to cover the exhaust tubes was added. 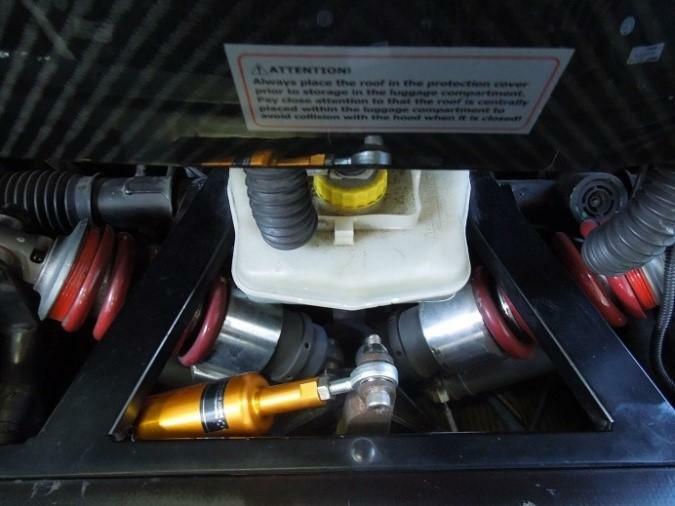 In January of 2013, just before the removal of the muffler, Scoot replaced the standard rear dampers in favor of the ones they specifically custom made for this CCX. 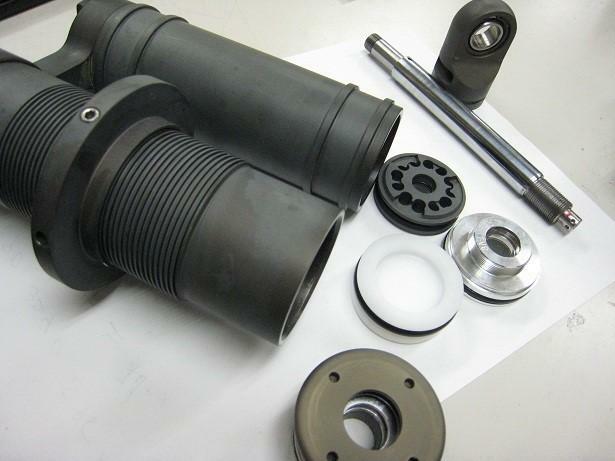 Setup work progressed during the year and final setup was reached at the end of October, 2013. 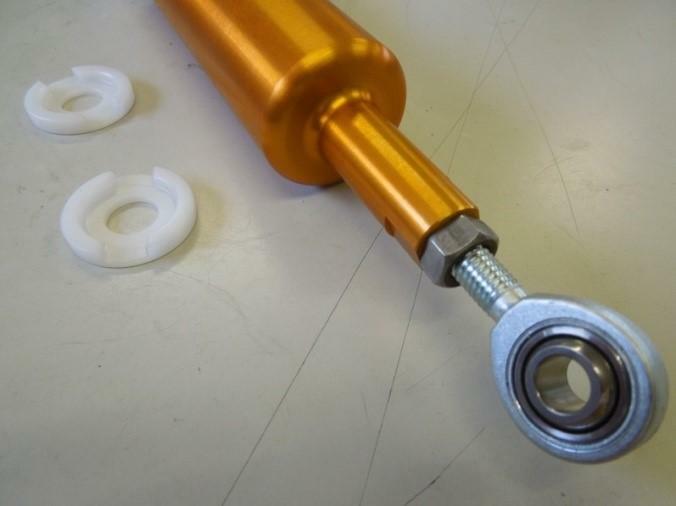 Shortly after having finalized rear damper setup, Scoot took on the front suspension by fitting a custom made stabilizer. This work was done mid November of 2013. 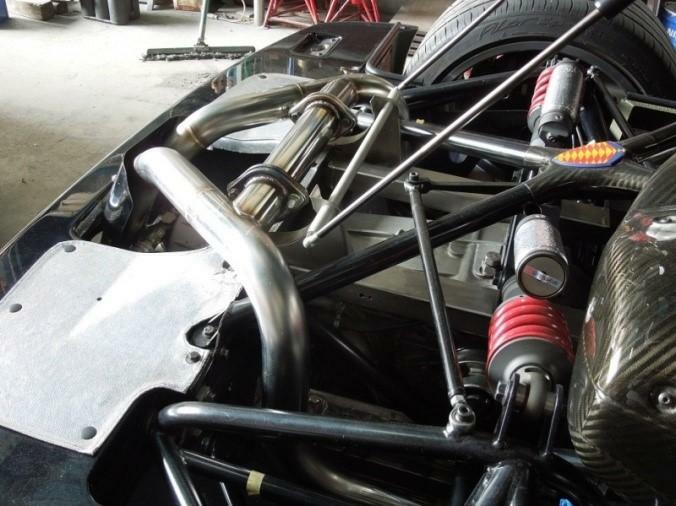 Apart from the muffler and suspension work done on this CCX, Scoot also replaced the superchargers and relocated the oil cooler as the superchargers were becoming too hot. 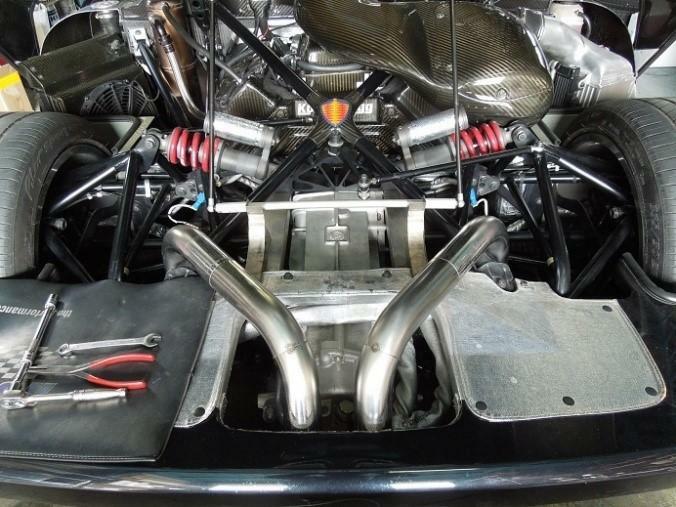 In the end they made a NACA style duct in the floor to fully cure this problem. Work on this started in the second half of October and was not finished before the end of the first week of November 2013. 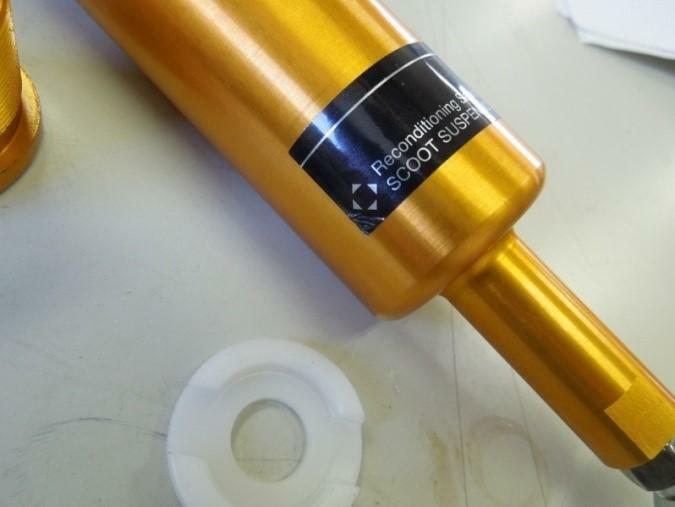 A broken gearbox bracket was fixed by Scoot in February 2014. 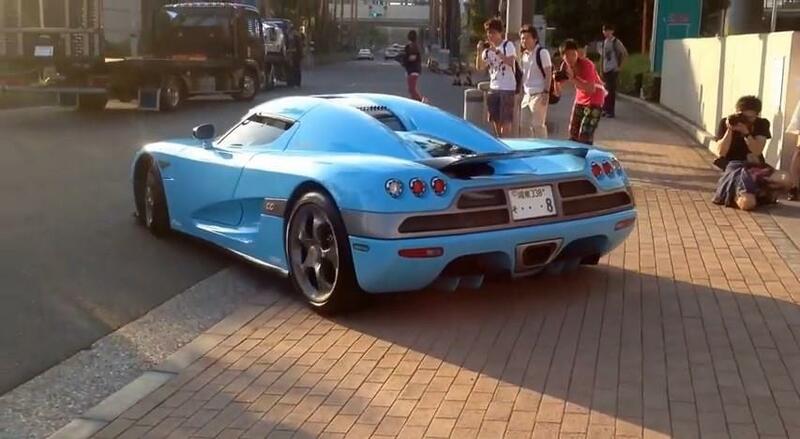 The owner of this light blue wrapped CCX knows Koenigsegg history very well as these pictures suggest. 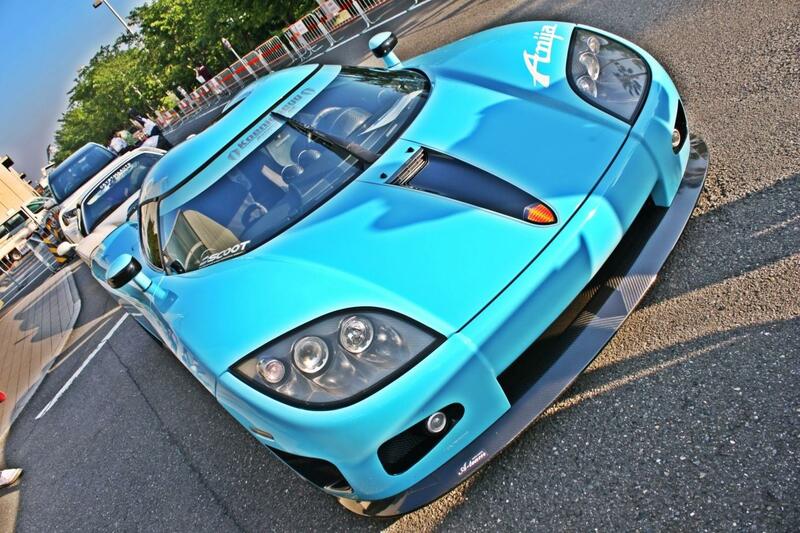 Back in 2008, CCX 045 was tested at the Nürburgring and set a time of 7:33.55 (see Trivia section of 7045 for more information).